This letter was written by Capt. Caleb Rodney Layton (1826-1887). Rodney was appointed to West Point in June 1843 and resigned in June 1845. In July 1845, he entered into the law office of his father at Georgetown, Delaware, and was admitted to the bar in 1848. After practicing law with his father, he was elected clerk of the House of Representatives in 1860. He became the Captain of Company G, 1st Delaware Infantry (3 months) in May 1861 and rose to Major before that unit was mustered out. He was then appointed captain in the regular army and assigned to the Eleventh U.S. Infantry; later in the Sixteenth and Twentieth. 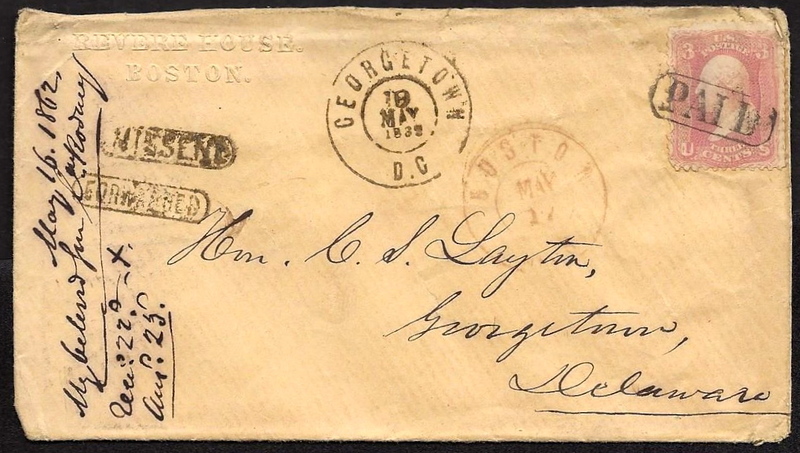 Layton saw action at Fredericksburg and Gettysburg during the war. Rodney was the son of Hon. Caleb Sipple Layton (1798-1882) and Penelope H. Rodney (1799-1870). He was married in April 1862 to Mary Hemphill Bush (1840-1865) and in April 1873 to Clara Howard Benedict (1847-1887). Nothing new has occurred here since I wrote before of any particular interest. The arrangement for calling in General McClellan was changed & instead of that a review of all the troops was had. We was heartily cheered as he passed along the line. General Burnside next to McClellan is the choice of the army as a commander. It seems like a strange movement though at this time of all others to make a change in generals unless McClellan is to be placed in a more responsible position. I saw Billy Maull ¹ yesterday — was over to his camp & took dinner with him. Today he was here & dined with me. He is looking very well. We had a nice talk — it being the only times we have seen each other (except for a few minutes at Rockville in September last) for over a year. We have had orders to resume battalion & company drills which looks as though our Division would remain here for some time. I write now in reference to that affair of a corporal of my company with Miss Parnal, for I learn that the person is one of my corporals though not the one I supposed when I wrote last. His name is George Legg Miller — was enlisted in Chicago, Illinois — has been absent from the company since the middle of August in a hospital in Philadelphia. How he got to Georgetown, whether by getting leave of absence from the hospital, or by desertion (tho’ if the latter I have not been notified of it), I don’t know. At any rate, if the marriage has not been consummated, it might be stopped at once. My first lieutenant informs me that he is already married & has children. Another member of my company has heard him speak of his wife & having had a letter from her. We haven’t had a mail for several days but expect one tomorrow. We have possession of the Orange & Alexandria Railroad beyond Warrenton Junction up to the Rappahannock Junction & the locomotive comes to Warrenton. It was reported that a fight was going on this morning (we heard the firing) at Rappahannock Station on the Orange & Alexandria run with what result, we haven’t heard, though we infer successfully for us as no troops have been ordered forward during the day. ¹ Dr. David William Maull (1831-1896) was “a graduate of Jefferson Medical College in Philadelphia, left Georgetown where he was in practice with his father to join the 1st Delaware Infantry Regiment as a surgeon in 1861. 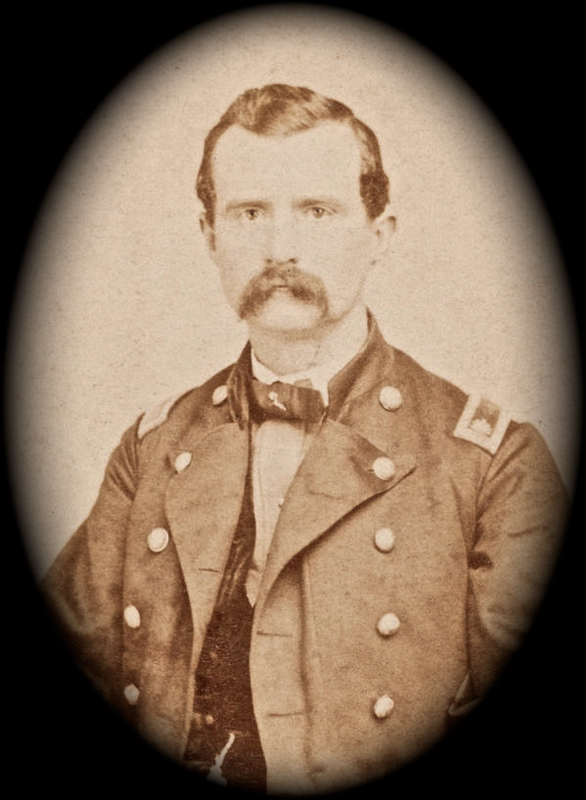 Assigned in the Second Corps, Army of the Potomac, as a brigade surgeon, he later received a promotion to the rank of major at the division level. 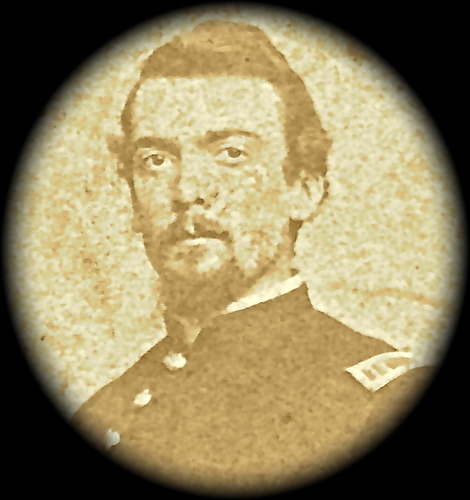 It was Doctor Maull who attended the Irish-born Delawarean Brig. 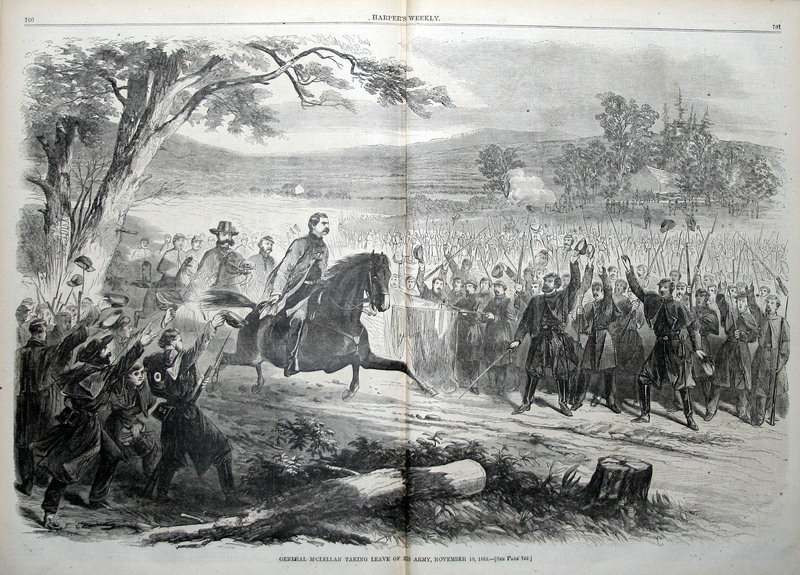 Gen. Thomas A. Smyth when he was mortally wounded at Farmville, Va., in April 1865. Surgeon Maull later published “The Life and Military Service of the Late Brig. Gen. Thomas A. Smyth” in which he described the fatal wound, “A Confederate sniper downed General Smyth with a shot to his face which…continued into his neck…driving the fragment into the spinal cord…causing instant and entire paralysis.” The general died two days later. This entry was posted on Sunday, May 11th, 2014 at 12:42 pm	and posted in Uncategorized. You can follow any responses to this entry through the RSS 2.0 feed.